Water is a precious resource that is essential for premium quality turf. In liquid, granular and tablet form out unique and flexible range of wetting agents are designed to optimise water management and help prevent Dry patch. H2Pro Conserve Liquid is a high quality wetting and water conservation agent. H2Pro Conserve Liquid uses multi-matrix surfactants for deep rootzone water management and Dry patch control. H2Pro Conserve Tablet is a hose-end applied wetting agent for effective hand watering. 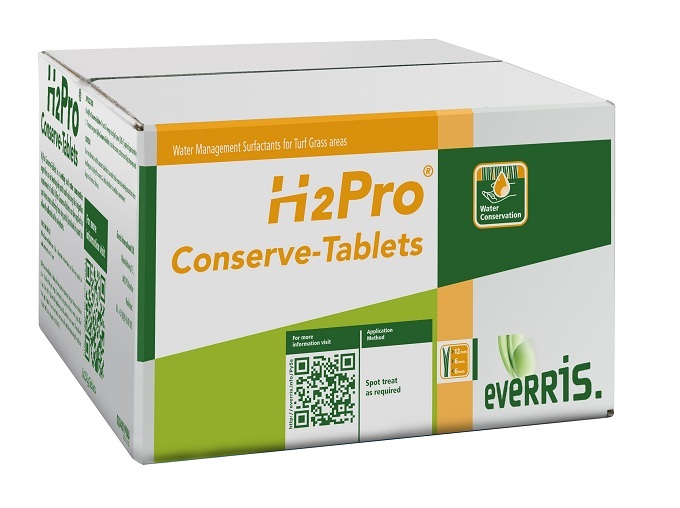 H2Pro Conserve Tablet is especially effective for the treatment of localised Dry spot and for helping to reduce overall irrigation requirement. 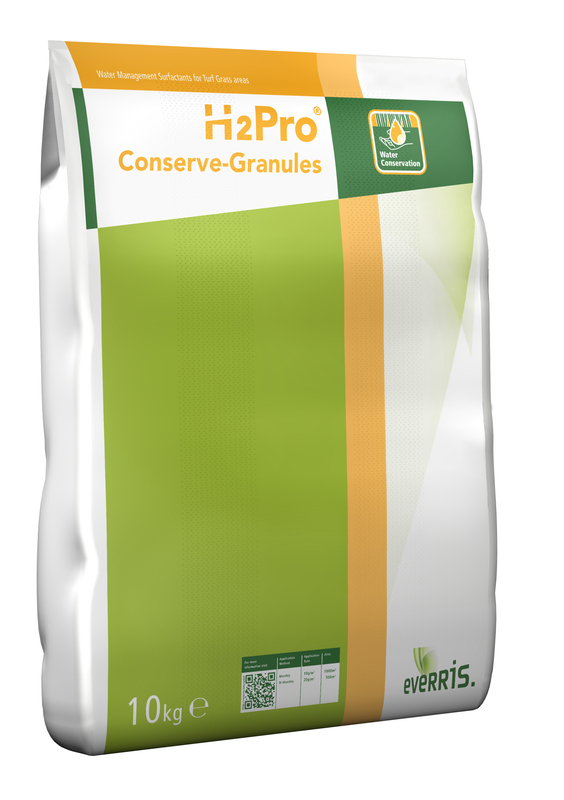 H2Pro Conserve Granular is ideal for spot treatments and use on bowling greens. The granular formulation is easy to apply across wide or localised areas to improve water management and for the treatment of localised Dry patch. 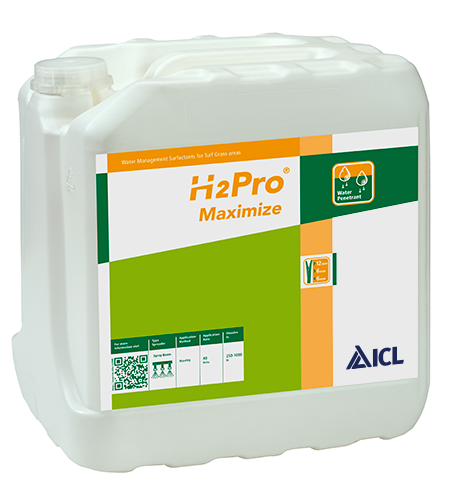 H2Pro Maximize is a penetrant wetting agent formulated to remove surface water, encourage deep rooting and to flush excess salts through the soil profile. 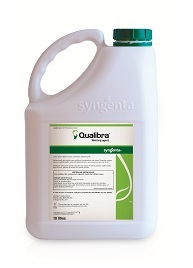 Qualibra is a premier wetting agent and water conservation agent that combines a unique and dynamic penetrant with a powerful polymer to optimise water penetration and conservation within the rootzone. H2Pro DewSmart is a newly formulated dew dispersant product for turf grass areas. It is designed to prevent or reduce the formation of dew on the grass leaf.